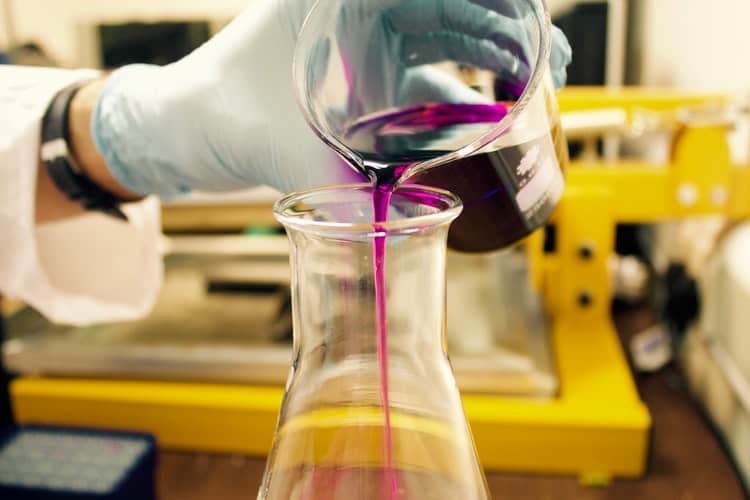 Innovative thinking and dynamic partnerships between STEM leaders and educators are the key to reversing a “catastrophic” shortfall of over 200,000 scientific workers a year, according to Cardiff’s business leaders. Experts from Sony UK Technology Centre, scientific educational charity Techniquest, and intellectual property firm Wynne Jones IP, are speaking out to mark British Science Week from March 8th to the 17th. They are sharing their views after a report from Engineering UK showed that 203,000 people with higher engineering skills will be needed across the sector annually to meet demand until 2024. In a bid to tackle this issue, the three Cardiff STEM leaders, whose businesses are at the forefront of driving innovation across the engineering, science, and technology sectors, are offering their advice to bridge the skills gap. Wales’s leading manufacturing facility Sony UK Technology Centre is considered a global innovator when it comes to engineering excellence. 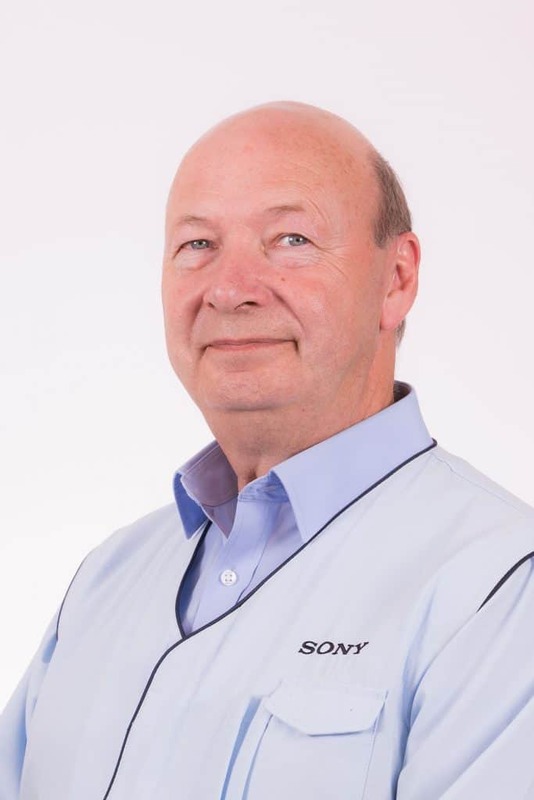 With Sony UK TEC blending both practical and educational elements into its work with schools, Director of Professional Services Gerald Kelly believes that a combination of both is the solution to solving the growing skills shortfall. The Pencoed facility, which produces high specification broadcast cameras for worldwide distribution, is renowned for being at the forefront of technological progression, and driving innovation across the manufacturing industry. The Welsh site has not only developed a global reputation for producing leading technology such as the 4K camera, Nimway, and Raspberry Pi, but it is also renowned for ensuring digital literacy is widely accessible for a new generation of budding scientists. As such, the facility runs an in-house Digital competency programme, which sees Sony UK TEC work with schools across Wales to provide access to media and broadcast technology. It also runs a Learn2Code workshop, which encourages pupils to write their own code and learn about how technology is embedded into manufacturing. He said: “Here at Sony UK TEC we firmly believe that it is not enough, or fair for industry to rely solely on education to deliver what is needed in terms of STEM. “So we engage with schools and the Curriculum for Wales ourselves, and deliver bespoke programmes which are both fun, and inspire curiosity among pupils, while delivering vital technology knowledge. “I think it’s this equal blend of the practical and the educational which will ultimately drive pupils to consider STEM careers and consequently tackle the much-publicised skills shortfall in the future. “We believe that introducing STEM through a more interactive manner will undeniably encourage pupils to reconsider STEM roles, and explore the vast variety of careers available to them throughout the industry. “It’s fundamental that manufacturers work with schools to expose children to rewarding and enriching roles as part of their curriculum, in order to peak their interest from a younger age. 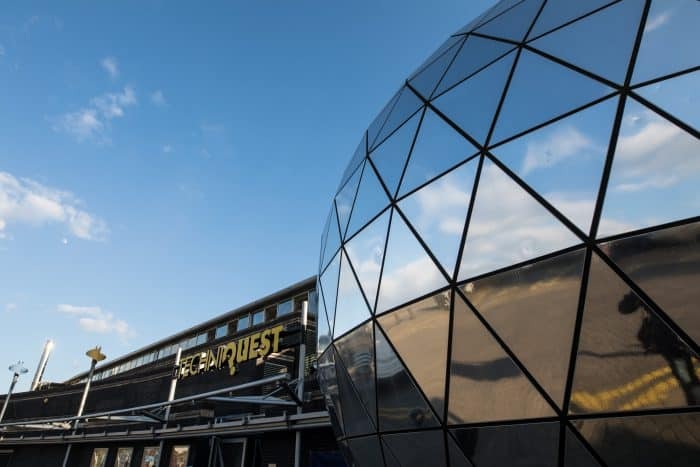 As Wales’s leading science discovery centre, Techniquest has also seamlessly combined innovative STEM engagement with educational learning for over 30 years. 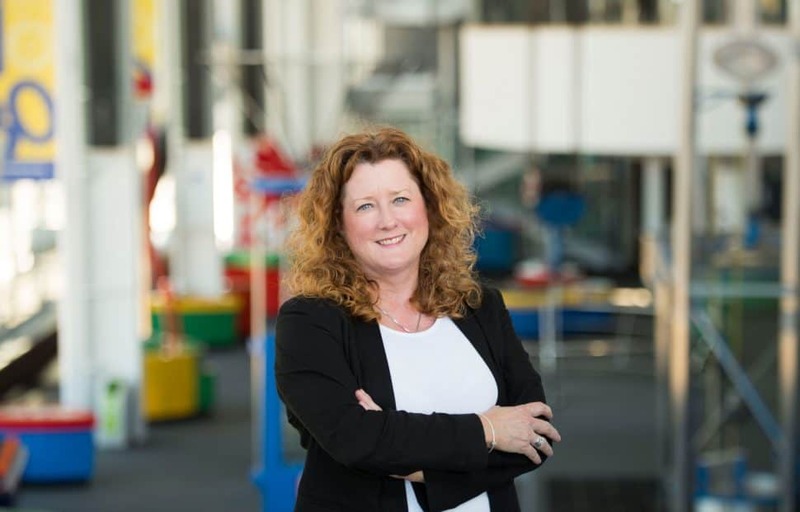 Techniquest’s Chief Executive Officer, Lesley Kirkpatrick, believes it is at a fundamental educational level that the nationwide STEM skills shortage can be curbed. 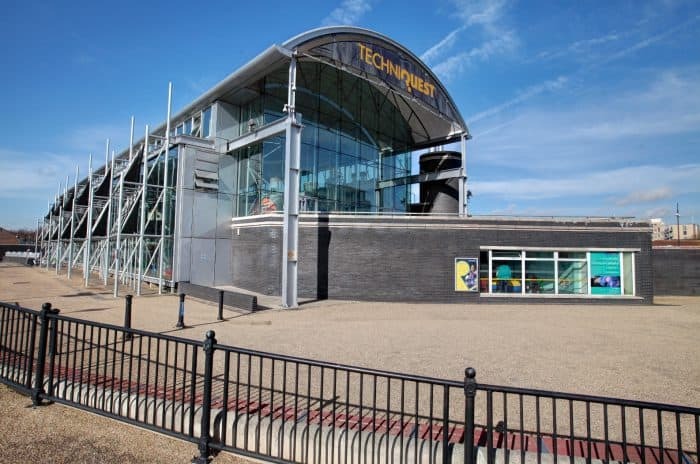 The popular centre, which is based in the bay, recognises the importance of promoting rewarding STEM careers and engagement through an interactive blend of unique scientific exhibits, shows and talks, along with educational outreach at hundreds of schools across Wales. And Techniquest’s dedication to advancing STEM skills and making science more accessible, is set to get a significant boost after a £5.7 million expansion plan, which will see the centre increase in size by over 60% , was given the go ahead. 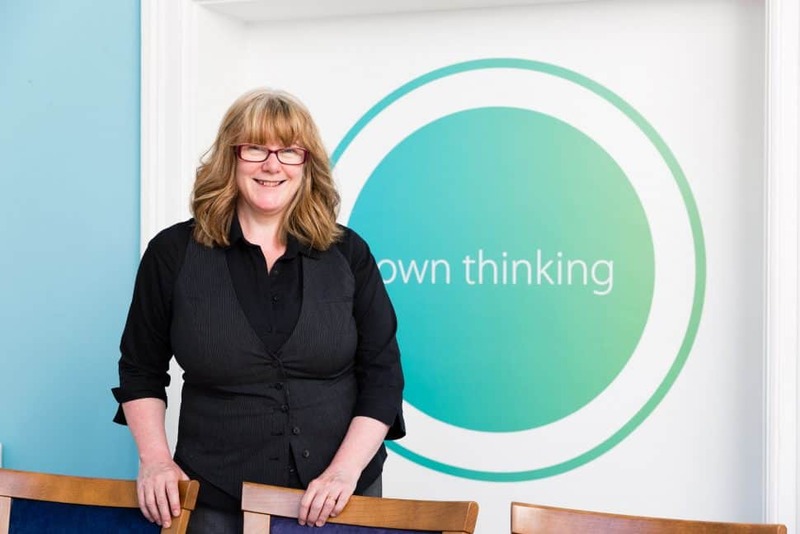 With this in mind, chief executive officer Lesley Kirkpatrick, believes it is at a fundamental educational level that the nationwide STEM skills shortage can be curbed. She said: “As a charity which believes passionately in the ability of STEM skills to transform career potential, we have been heavily involved in discussions surrounding the predicted shortfall and how this can be reversed. “It is incredibly concerning from a number of perspectives, as the STEM industry and its continued innovation plays such a vital role in the nation’s economic success. Equally, the lack of skilled workers could lead to declining levels of technological development across the UK in the coming years, and a lack of STEM uptake could see thousands of students miss out on their true professional potential. “From our perspective it appears that the shortfall can be tackled at a fundamental educational level, by encouraging schools, universities, and science centres, such as ourselves, to work collaboratively to promote rewarding STEM careers and their diversity at all stages of learning. “By forging dynamic working relationships, which highlight the significant benefits and exciting prospects afforded through STEM, we believe that we can embed scientific engagement into early learning and create a spark for STEM throughout Wales. “To highlight this we have worked diligently with schools to develop and deliver an education programme that enhances and enriches the STEM curriculum and enthuses and excites pupils from Foundation phase to A level. Intellectual property may not be the first profession you consider when discussing STEM. But with chemistry, biology, physics, and engineering graduates all choosing the industry, it’s evident that scientific skills are not just relevant, but essential to success in this profession. Dr Nation believes that diversifying STEM career options and assessing business needs is crucial to attracting talent and tackling the STEM skills shortage. Many STEM graduates may feel limited in their career options if the laboratory or research isn’t for them, however intellectual property gives them a chance to diversify and think outside the box to protect the trademarks, patents, and designs of products and companies worldwide. Wynne Jones IP, which has offices in Cardiff, Cheltenham, London, and Telford, specialises in advising across all areas of intellectual property, with a particular focus on the STEM sector. And when it comes to attracting STEM graduates and supporting them to achieve their potential, the firm is ahead of the curve. It has established its own highly successful four-year training academy, which educates and shapes trainees into well-rounded, industry leading attorneys. This has seen success year on year, and commercial director Dr Jayne Nation believes it offers an exciting alternative for those looking to pursue STEM careers. She said: “STEM careers not only allow you to achieve something truly worthwhile personally, they enable you to make a profound difference to vast industries and potentially change the lives of millions of people worldwide. “It is for this reason that the STEM skills shortage is incredibly concerning and could prove to be catastrophic if it is not addressed quickly. “From my perspective there are a number of ideas which could tackle this. Developing business and education task forces in major, strategically targeted tech sectors, could identify current business technology needs and skills that aren’t being met and which are in great demand. This could anticipate future business requirements and tech trends to ensure people have the relevant skills. “Intervention at an educational level is also vital, and as such establishing combined academic and vocational training packages for students over 18 could really provide a boost. “These could cover both academic training in STEM, alongside tech training within a job, that will directly fill the UK priority skills gaps. If they were run as a joint programme, combining academic and vocational learning, they could become a training experience of prestige that is sought after. A leading intellectual property expert has said it is “incredibly encouraging” to see almost one million women in STEM roles for the first time but called for continued action to support this upwards trend. 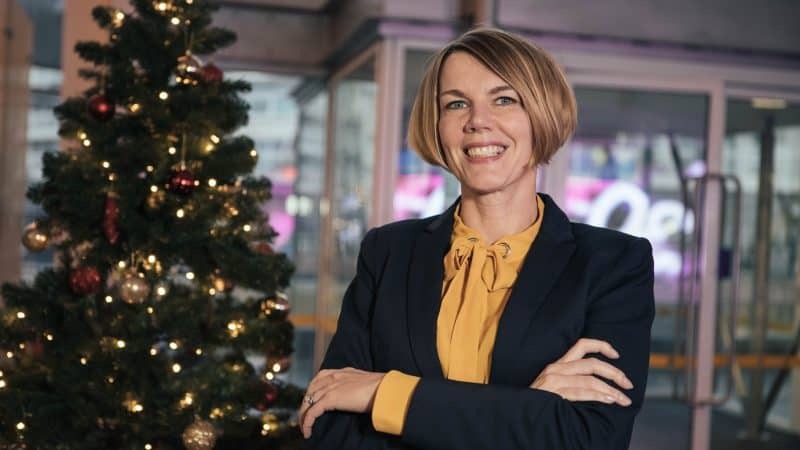 Commercial director Dr Jayne Nation, at leading intellectual property firm Wynne Jones IP, said it was hugely encouraging to see that 908,318 women occupied core STEM roles in 2018. The figures from the Wise Campaign show that this is up 22% from the 864,278 roles occupied by women in 2017. The number of female engineering professionals also increased by 25% last year, which brings the total number of female engineers to nearly 58,000 – more than double the number there were in 2013. Women also now make up 43.2% of the total science professional workforce reaching 60,039 in 2018 from 57,371 in 2017, the Wise Campaign statistics showed. However, the number of women and men undertaking science and engineering technician roles fell sharply from 97,064 in 2017 to 90,998 in 2018. Dr Nation, who has over 25 years’ experience as a scientist specialising in chemistry and psychology, along with a wealth of experience in senior management in scientific fields, is speaking out about gender equality to mark International Day of Women and Girls in Science on February 11th. The international initiative, from the United Nations, aims to recognise the vital contribution of women and girls throughout the scientific community. Dr Nation said the increase in female representation across STEM professions was a significant step in the right direction, however she added it was “vital” that businesses across the sector continued to invest in, and support talented women. She said: “As a woman who has proudly worked across the science and intellectual property fields for more than two decades it is immensely thrilling and encouraging to see female representation in these sectors rise to almost one million for the first time. “It essential that gender equality in STEM professions is consistently recognised as the norm, as this will inevitably filter down through the generations and encourage more young women into undertaking fulfilling STEM degrees and pursuing rewarding careers. “This can only be positive when we look at predictions of a forthcoming STEM skills gap, which will no doubt be narrowed by the greater inclusion of women throughout the industry. “However, as we celebrate the fantastic progress that is being made as part of International Day of Women and Girls in Science, we must also ensure this momentum continues in order to support an ongoing upwards trajectory when it comes to female representation in STEM. Wynne Jones IP, which specialises in advising businesses and inventors in a wide range of sectors worldwide on all aspects of IP rights, strategy and renewals, is a proud founding signatory of the IP Inclusive Charter. The charter was set up to promote equality, diversity and inclusion within the UK’s IP sector, ensuring accessibility and support to all those who have the necessary aptitude, regardless of their age, gender, race, sexual orientation, religion, physical ability, wealth or background. According to recent figures the UK’s crisis-hit STEM sector is currently facing a “worrying” shortfall of over 170,000 workers, with leading manufacturer Sony UK Technology Centre (UK TEC) claiming apprenticeships could be the future. Statistics from STEM Learning reveal a discrepancy of 173,000 skilled workers across the Science, Technology, Engineering, and Mathematics (STEM) sectors, which is reportedly costing companies around £1.5 billion annually in recruitment costs. This comes as nine in ten STEM businesses revealed they struggled to employ staff with the necessary skills between 2017 and 2018, according to the STEM Skills Indicator. 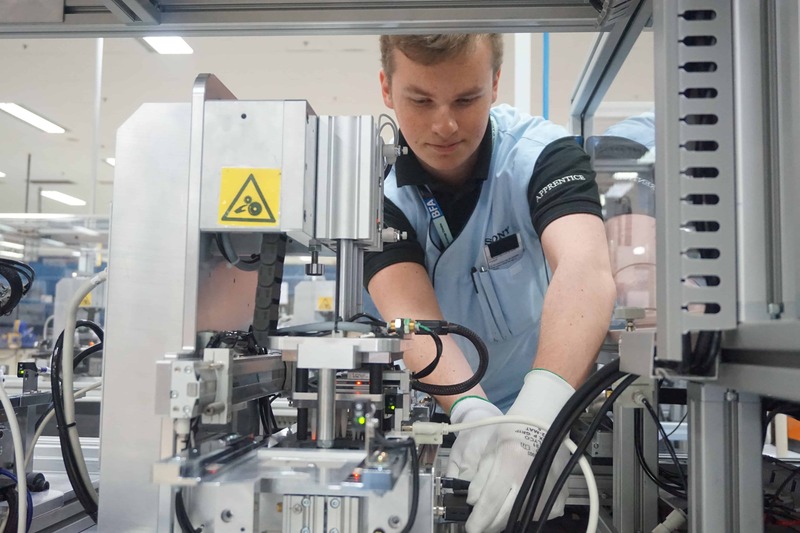 However, Gerald Kelly, the director of professional services at leading manufacturer Sony UK TEC, said apprenticeships could be “a fundamental stepping stone” to solving the growing issue. Mr Kelly, who started his career as an apprentice, spoke out about the benefits of such schemes as figures from the Department for Education showed that over 341,000 people elected to start an apprenticeship between 2017 and 2018. It was also revealed that over 74,000 starts between 2016 and 2017 were in engineering and manufacturing sectors, House of Commons’ findings show. Mr Kelly said: “Apprenticeships really are a highly effective way to kickstart your career, and acquire unparalleled hands-on experience in the real world, all while continuing your studies. “In particular I believe that an engineering apprenticeship can be beneficial, as it can offer an in- depth insight into what an engineer’s working life really entails and the diversity that the profession can offer. “Over the years we have taken on a number of apprentices through our in-house Apprentice Scheme and we consistently find that this first-hand exposure enables them to become well-rounded, confident, and dedicated members of staff. “Having started as an apprentice myself when I first joined Sony UK TEC, and worked my way up to director of professional services, I can attest to the wide-ranging and rewarding career that an apprenticeship can lead to. Here Mr Kelly of Sony UK TEC, which is renowned worldwide for producing high-specification HD broadcast cameras, explains his top three benefits of an engineering apprenticeship. An apprenticeship offers a unique opportunity work across all areas of the business and develop an in-depth understanding of the profession. From month to month an apprentice could be working on different industry-leading projects, alongside different teams, and ultimately acquiring a host of diverse skills, which enable them to choose the most rewarding career path. This is particularly relevant to those seeking to work in manufacturing or engineering, with roles varying from Software Engineering, to Production Engineering, to Development Engineering and Robotics. One of the greatest advantages of an apprenticeship is the ability to earn a wage as you study. Not only will you acquire the direct skills you need to actually perform the role, you can develop the knowledge that enables you to achieve and progress within the profession. You’ll develop meaningful relationships with colleagues and experts throughout the industry, and gain invaluable industry insights, while enhancing your academic understanding. One of the most vital aspects of an apprenticeship in engineering is the unique ability to get hands- on experience in a manufacturing setting. While learning about the theory of engineering is vital, there is no substitute for directly using the required tools and seeing innovative technology created. This unparalleled experience teaches apprentices a great deal about the potential safety considerations and real-life implications of working in an engineering setting, and also enables them to enjoy the rewards and inevitable sense of achievement. Sony UK TEC has launched its latest Apprenticeship Scheme recruitment drive, with applicants having until February 28th to apply. Applicants require a minimum of 5 GCSEs, including a B or above in Maths, and Cs or above in Science and English. Educational charity Techniquest has appointed an expert new Community Engagement Officer who will transform engagement and participation opportunities as the charity steps into an “exciting” new era. Kelsey Barcenilla has joined the leading science discovery centre to spearhead engagement with new audiences and community members, whilst also creating new volunteering opportunities as the charity embarks on its multimillion-pound Science Capital project. Mrs Barcenilla, who will support the Partnerships and Engagement team, will work closely with local communities, delivering events, participation research sessions and collaborative projects which will help the organisation embed a rewarding, inclusive culture of community engagement. With a wealth of experience which includes international teaching in China and a role with Cardiff Institute for the Blind, she will also be responsible for developing robust relationships with local communities by shaping exciting volunteer opportunities. The appointment comes at an exciting time for the charity, which will see its innovative Science Capital project brought to life this year. 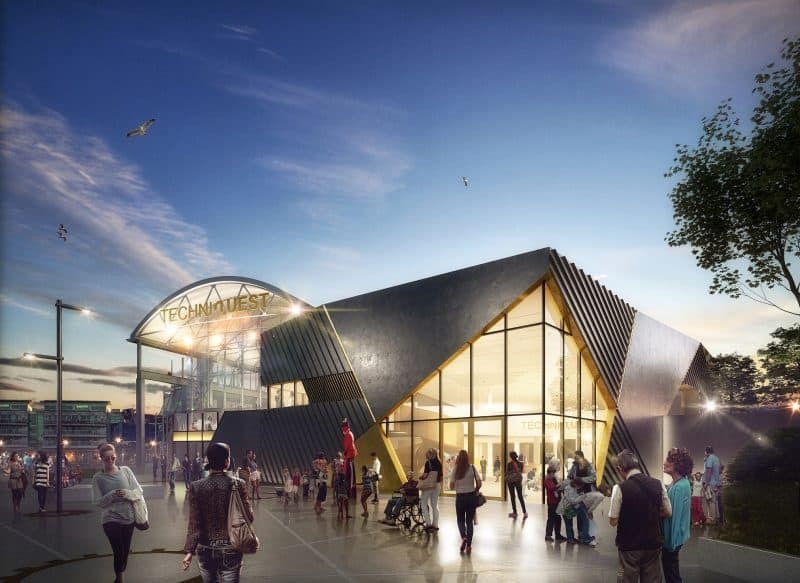 The Science Capital, which encompasses a radical transformation and extension of Techniquest’s current building in Cardiff Bay, aims to redevelop the site into a contemporary science hub by 2020. With interactive and immersive STEM learning experiences designed to pique curiosity and increase interest in the STEM industries, the project is part of the charity’s commitment to developing a scientifically literature society across Wales. Mrs Barcenilla said she was “over the moon” about her new role. She said: “I’m thrilled to be joining Techniquest at such a pivotal and exciting time. I’ve over the moon to be joining such an iconic organisation, which has helped shaped my own learning over the years. Growing up, it was always somewhere which ignited excitement, curiosity and learning, and I couldn’t be happier to be involved in its journey. Educational charity Techniquest has recruited a brand-new Head of Engagement and Partnerships ahead of a “game-changing” 2019. 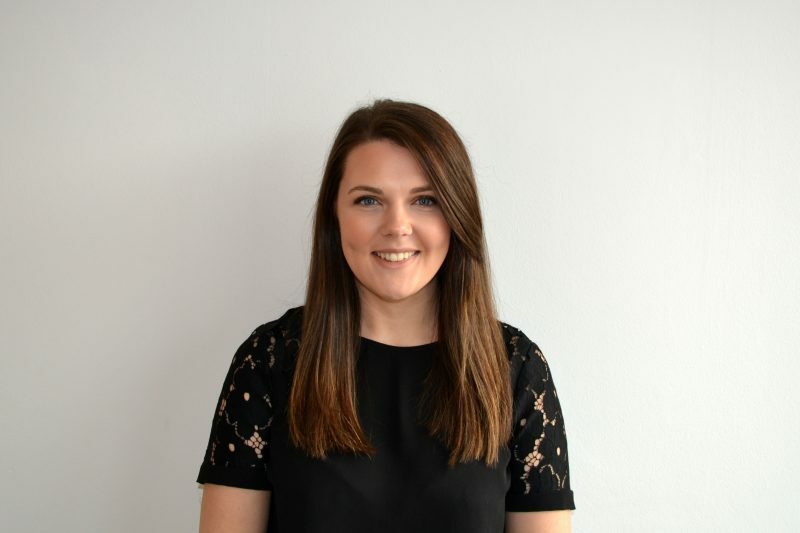 The appointment is the result of an open recruitment process which saw one of its longstanding employees, Clare James, being promoted to this exciting new role. Clare was previously the centre’s Fundraising Manager. As part of her new role, Ms James will lead the charity’s stakeholder engagement programme across its wide range of partners, including corporate sectors, academic institutions, and local communities. Working with relevant organisations and STEM partners, Ms James will develop crucial relationships and provide essential support in shaping Techniquest’s programmes, demonstrating the relevance of science to people’s everyday lives. After securing £5.7million in funding, the organisation will now march forward with its Science Capital project, set for completion in 2020, which will encompass a radical transformation and extension of its current building in Cardiff Bay. Discussing her new role, Ms James said: “I’m absolutely thrilled to be taking on this new role during such a pivotal and exciting time for Techniquest. I’ve worked diligently to support the charity on its mission to inspire generations of scientists and great thinkers to come, and I’m looking forward to taking on a new challenge and building upon our recent achievements. “While Techniquest has always been loved by young children and families, we’re now diversifying our audiences and we’re working with our partners, particularly within our communities, to find out how to make science relevant to them and the assets they bring to the partnership. Techniquest is set to take one giant leap into space exploration thanks to a special project marking the 50th anniversary of the moon landing. 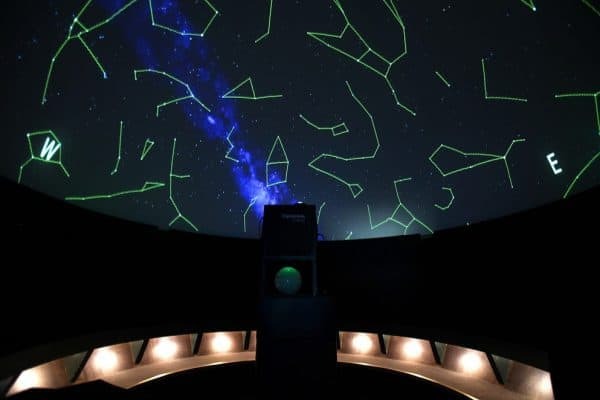 The educational charity, based in Cardiff Bay, is developing a bespoke show for the centre’s Planetarium to mark the historic event, thanks to new funding from a leading government body. Techniquest has been awarded £6000 from the Science and Technologies Facilities Council (STFC) to celebrate the upcoming 50th anniversary of the Apollo 11 mission in 2019. The funds will be used to develop the innovative new show, which will take visitors on a 360-degree journey through the solar system to explore the mysteries of the moon. The funding was awarded after one of Techniquest’s science communicators, Martin Palmer-Smith, submitted the idea through its online ideas platform, Simply Do Ideas. The platform is a digital suggestion box which allows staff to pitch ideas and feedback opinions. Following his submission, his idea was taken forward to the STFC where it received significant recognition, resulting in financial support of £6000. It has also received a £1000 donation from Tula Trust to help deliver its school outreach programme, which reaches over 50,000 school pupils in Wales annually with its inspirational STEM-focused programmes. Clare James, fundraising manager at Techniquest said: “We’re extremely grateful to be receiving incredible financial support from both the STFC and Tula Trust, which have both recognised the work that we’re doing to inspire the future generations of cutting-edge scientists. “As a charity, we rely heavily on the generosity of individuals and organisations to help us on our mission to deliver interactive STEM learning experiences, to not only young children, but people of all ages. Educational charity Techniquest is continuing its mission to inspire the next generation of scientists after receiving generous donations and scooping a high-profile grant. The science discovery centre, based in Cardiff Bay, conducts inspirational school outreach programmes, reaching over 50,000 pupils in Wales annually. Thanks to new donations from charitable trusts, its primary school outreach will enjoy significant financial support. The Simon Gibson Charitable Trust recently selected Techniquest as one of its 140 financial beneficiaries, gifting £4,000 to the educational charity for the second year running. The donation will be used to deliver free outreach to schools in the Glamorgan area, which will see 8 schools engaged with STEM subjects. The educational charity has also won new support from the Schroder Charity Trust, with a boost of £5,000 to its outreach for Key Stage 2 pupils in disadvantaged communities across south Wales. With a grant of over £5,000 from the UK Space Agency, the science discovery centre will be using a portable planetarium to deliver free Starlab sessions to 1,500 primary school pupils. The Space for All grant supports the outreach aims of the agency, encouraging the use of space as inspiration for teaching and learning and raising awareness of STEM subjects in the United Kingdom. Clare James, fundraising manager at Techniquest said: “We’re delighted and extremely grateful to be receiving such incredible support from The Simon Gibson Charitable Trust, the Schroder Charity Trust and the UK Space Agency. “As a charity, we rely heavily on the generosity of individuals and organisations to help us on our mission to deliver interactive STEM learning experiences. Techniquest has secured £3m of funding to make science more accessible to the people of Wales. Awarded through the Department for Business, Energy and Industrial Strategy (BEIS) and Wellcome Trust’s Inspiring Science Fund, the funding means that Wales’ much-loved educational charity can move forward with its plans to radically transform its science discovery centre in Cardiff Bay. Earlier this year, Techniquest announced plans for The Science Capital — a project which encompasses an extension of its building on Stuart Street and a repositioning exercise to extend and diversify its audiences. Along with the new funding, the charity has match funding from Moondance Foundation, Garfield Weston Foundation, Welsh Government’s ‘Invest to Save’ fund, and Proton Partners International, meaning it now has the capital to move full steam ahead with this exciting project. Plans will shortly be submitted for the proposed extension, which will significantly increase Techniquest’s footprint. The expansion will provide an additional exhibition space to house brand new content, which will be developed with businesses and academics at the forefront of the STEM agenda in Wales and supported by a programme of community co-production. Lesley Kirkpatrick, CEO of Techniquest said: “We are over the moon to be awarded this funding and are grateful to BEIS and Wellcome for believing in our ambitions. It is the culmination of over a year and a half of hard work from our talented team, who are extremely passionate about this next phase in our evolution. “It means that our plans to expand our science discovery centre and extend our offering to make science accessible to all, can progress in earnest giving our charity a new lease of life, while ensuring a sustainable and long-term future in Wales. Secretary of State for Wales Alun Cairns said: “Today’s funding announcement is a welcome boost to many science centres across the UK, and I can’t think of a more worthy recipient than Techniquest in Cardiff Bay. Taking its project name from a concept conceived by academics at Kings College London, which is a measure of people’s engagement or relationship with science, through The Science Capital Techniquest is committed to creating society that is equipped to understand, question, and enjoy science. Lesley continued: “At Techniquest, we want to grow people’s science capital by highlighting the role science plays in our everyday lives and demonstrating how STEM and innovative technologies are shaping the future of our society.